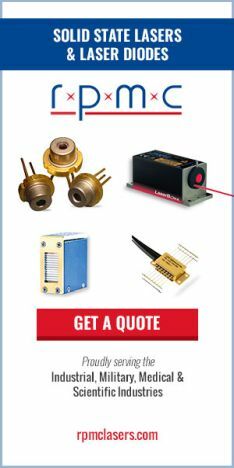 Ask RP Photonics for advice on various kinds of broadband lasers. In some laser gain media, particularly in those doped with transition metal ions, there is a strong interaction of the electronic states with lattice vibrations, i.e. with phonons. There can then be laser transitions where not only a photon is emitted, but also one or several phonons; also, optical transitions can involve the absorption of phonons. This vibrational–electronic (in short: vibronic) interaction leads to a strong homogeneous broadening of the transition and thus to a large gain bandwidth. In the early years of laser technology, vibronic lasers were sometimes called phonon-terminated lasers. Most rare-earth-doped gain media are generally not vibronic. Most rare-earth-doped gain media are generally not vibronic. Nevertheless, phonons can play import roles in their laser processes. In particular, they lead to the fast thermalization within Stark level manifolds and two first non-radiative transitions between manifolds with a not too large energy spacing. In many cases, such first non-radiative transitions are essential for the mechanism of pumping and/or for depopulating the lower laser level. The ruby laser operating at 694.3 nm is not a vibronic laser; it is operating on the (phonon-less) narrowband R1 line. This is contrast to most other transition-metal-based laser gain media. The first vibronic laser was a Ni:MgF2 laser, demonstrated at Bell Labs in 1963 . This could be operated only with cryogenic cooling and was therefore not very practical. A relatively new vibronic gain medium is Fe2+:ZnSe for mid-infrared emission with 3.7–5.1 μm. Note that some solid-state laser gain media such as alexandrite exhibit both vibronic and non-vibronic (“R line”) transitions. The latter have much lower optical bandwidths. The term vibronic lasers is also used in the context of molecular gas lasers, if the laser transition occurs between vibrational levels of different electronic states. Such gas lasers are usually ultraviolet lasers.